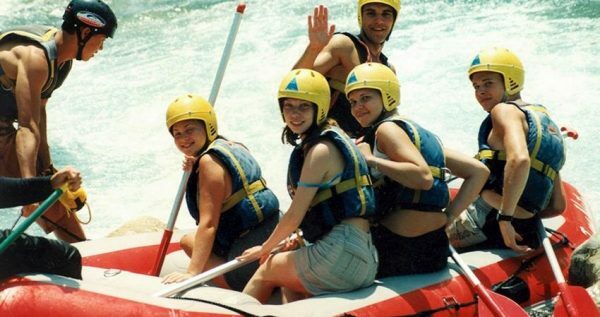 If you enjoy an occasional adrenalin boost on your vacation tour, then our Marmaris Rafting Tour is a terrific choice for you. 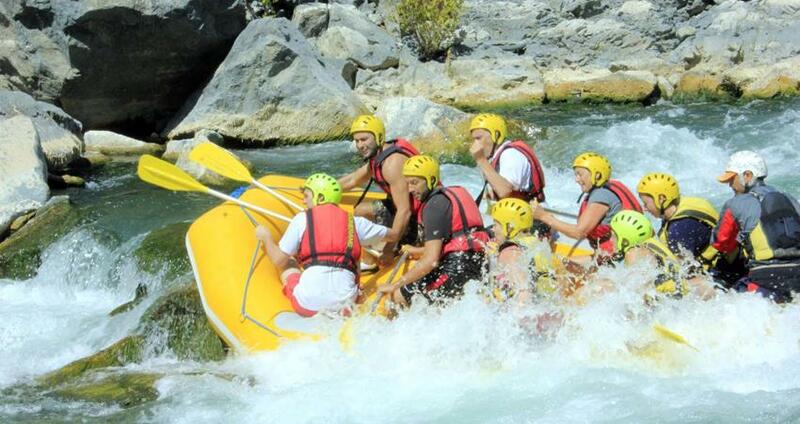 Tricky and powerful rapids of Dalaman River, great mountain and pine forests of Marmaris are just the proper scenery for our great escapade to happen. Our adventure starts with a free pick-up from your accommodation in Marmaris, followed by a comfortable drive to the venue point. There you will be welcomed by our crew of skiled instructors, who will give you all the necessary information and instructions about the amazing trip ahead of you. You will be exploring the beautiful Dalaman River. All you have to do is to make sure you’ve packed all you might need, such as swimsuits, towels and of course dry clothes which you will wear once the rafting ends. Make sure to bring some footwear that can be warn in the water, as well as a regular old T-shirt which you will wear under your life-jacket. 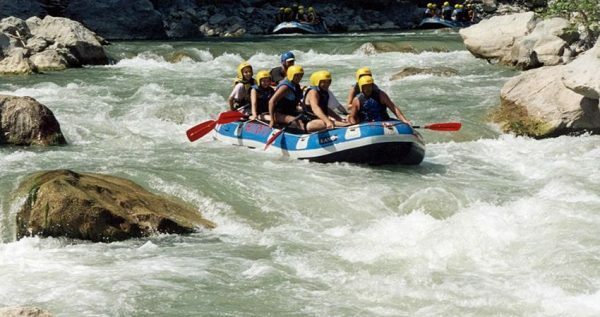 You also shouldn’t carry regular cameras, and if you decide on wearing a camera it would be best if it is the waterproof kind, as the water splashes around during the rafting. 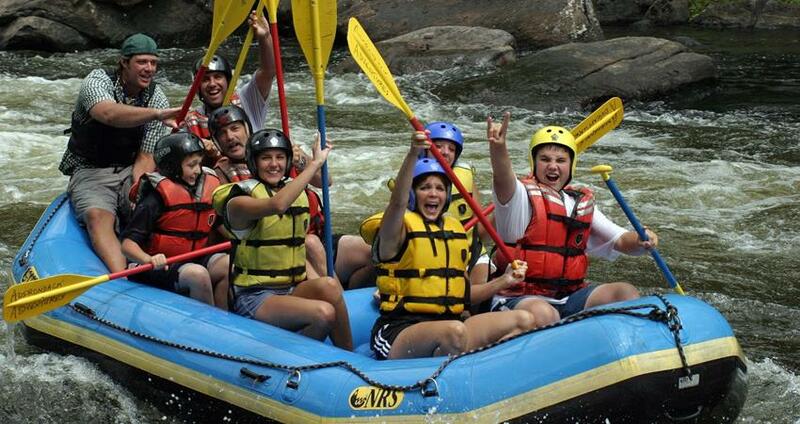 Our rafting tour includes numerous swim breaks as well as a cliff jumping session, and if teamwork is your thing than that is one reason more for you to decide to participate in this great tour. During the rafting you will have to get to know your raft-mates, because it is very important that all of you work together in order to have a successful rafting experience. 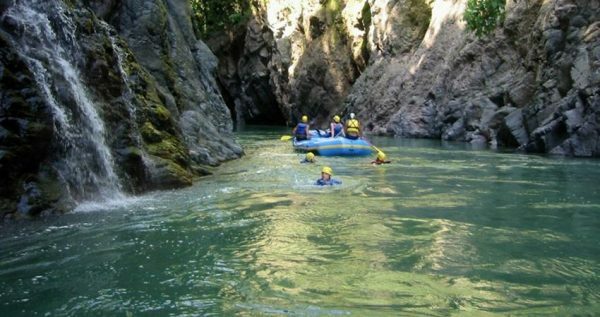 At the end of Marmaris Rafting Tour, the water will carry you straight to the base camp where a delicious meal will be waiting for you. 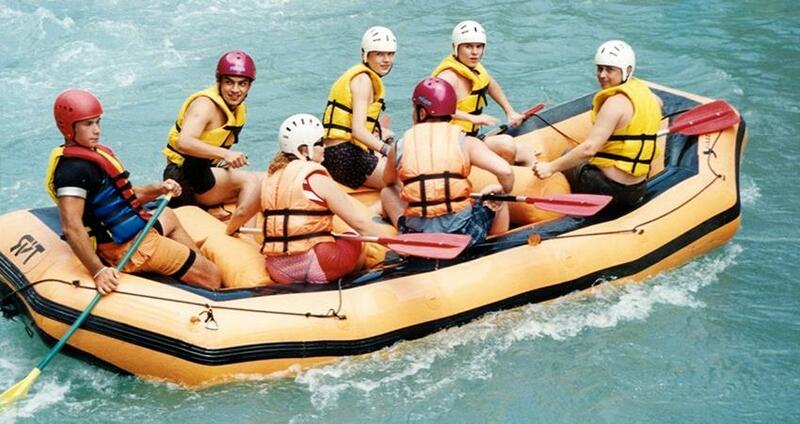 We will provide you with all the necessary equipment, along with all the instructions already mentioned. Here is a list of some things you shouldn’t forget to do; wear T-shirt under your life jacket, take swim suit with you or wear it, sun glasses to protect your eyes, waterproof shoes, dry clothes and avoid flip-flops because they can get slippery. Persons under the age of sixteen, and those with physical problems shouldn’t take this tour. Everyone else is welcome to enjoy it. Guests are required to be minimum 17 years of age. Marmaris Scuba Diving can be also another good day our during your holiday in Turkey. 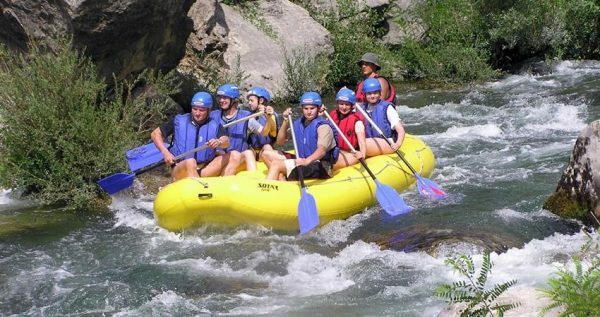 Our marvelous Marmaris Rafting Tour begins with a free pick up from your hotel at about 07.30am, followed by a cozy 90-minute ride to our base camp near the Dalaman River. There we will have a delicious open buffet breakfast, served with coffee or tea. After breakfast, we will begin with preparations for the upcoming tour. 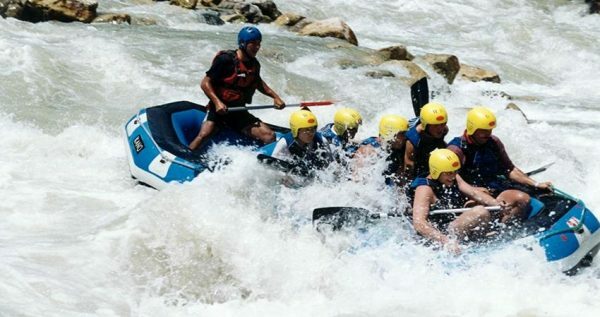 Our skilled and experienced instructors will give you a short briefing about the basics of River Rafting, as well as some video presentations of the earlier tours. This might sound boring, but it is the vital part of our tour, as it will make you safer and more relaxed. Our rafting teams usually consist from 8 to 10 people per raft. 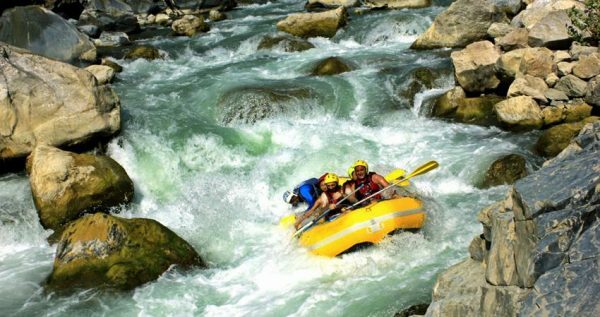 Getting to know your fellow rafters is very important, because you will have to work as a compact unit in order to raft successfully. 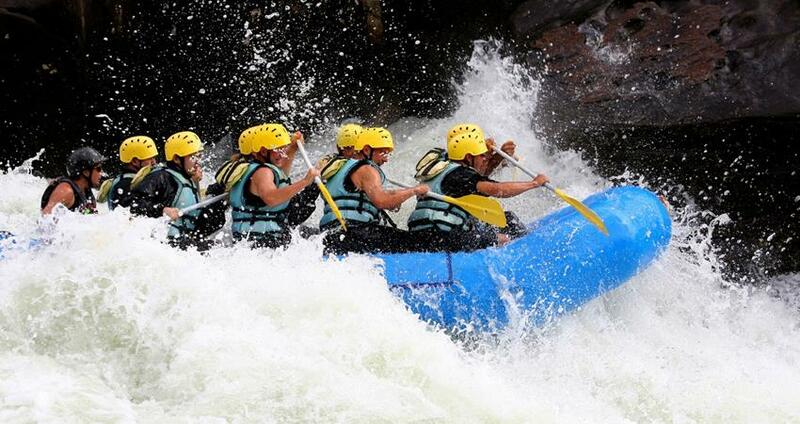 The rafting itself, lasts for approximately tree hours. We will take some short breaks in between, during which you will get to rest and enjoy the wonderful scenery around you. 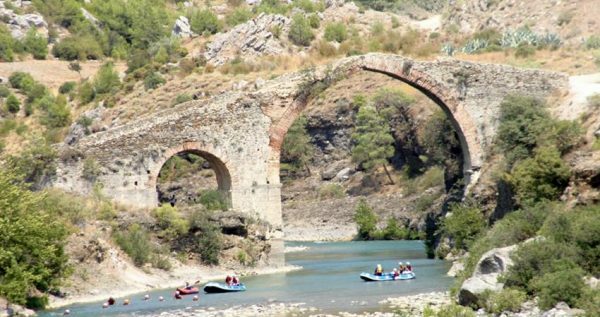 Once our tour on the Dalaman River is over, you can put on some dry clothes, and we will have a delectable lunch in a local restaurant. This lovely open buffet lunch will be served at about 4pm. After we reach Marmaris at about 7pm, our driver will pick you up and take you back to your accommodation. Transfers from your accommodation and back are free of extra charge, as they are included in the tour price.